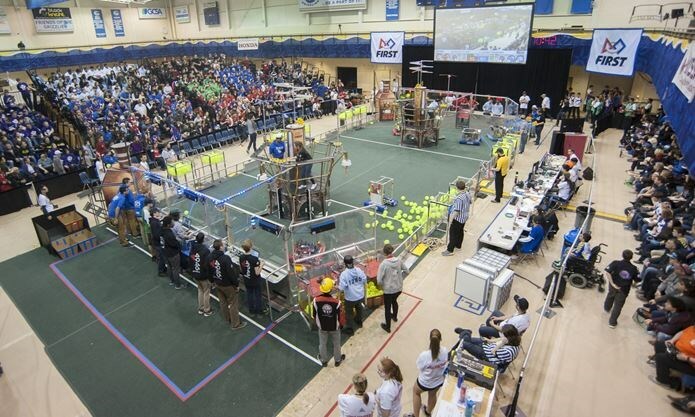 With less than 17 days to complete the robot, the team has been working diligently to finish the project. So far the students have designed and prototyped the cargo (ball) and hatch mechanism, the elevator, and an arm for the robot. With the competition closing in, all subteams must be at their very best in order to the build to be successful. MECHANICS– has been creating the parts of the robot as well as tweaking the design. As we start week #5, they are cutting and assembling the final competition parts. CAD– has been creating digital 3D models of the mechanisms as well as measuring the pieces being built and documenting any change. 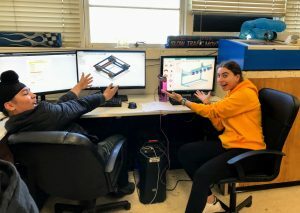 The CAD team has also drawn and provided blueprint schematics for all the field pieces and has also designed and built a prototype battery cart. DRIVE TRAIN– has been finishing up build of the field pieces, cutting parts for the new drive base and assembling the transmissions and wheels. 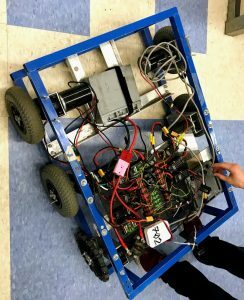 PROGRAMMING/ELECTRONICS– has been both learning and creating the robot’s code, testing sensors and making sure their motor control software and controls are working. After bag night on Tuesday Feb 19th, the build season will continue through March 20th, but at a less frantic pace. The team will be building a second robot to practice driving and control automation. During this time, we will meet a little less frequently and not as late. As the build season comes to a swift end, it becomes time for the team to prepare for the actual competition. For the first competition at Monterey, only the drive team, scouts and some of the team leadership can attend due to limited space in cars, hotel rooms and costs. For the second Aerospace Valley competition, we will be driving there each day and everyone is welcome to attend. 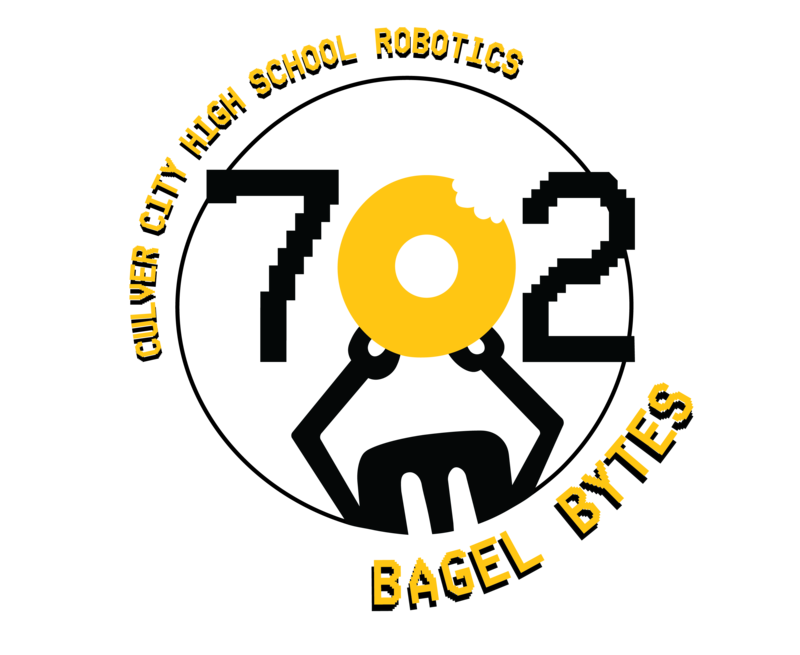 Prior to competition, the drive team, scouts and anyone interested will be visiting the Orange County Regional competition on Saturday March 2nd, where we will be observing and learning what to expect. .
After weeks of working, the competition serves as a chance for students to see the fruits of their labor, so we hope all of those interested can attend.